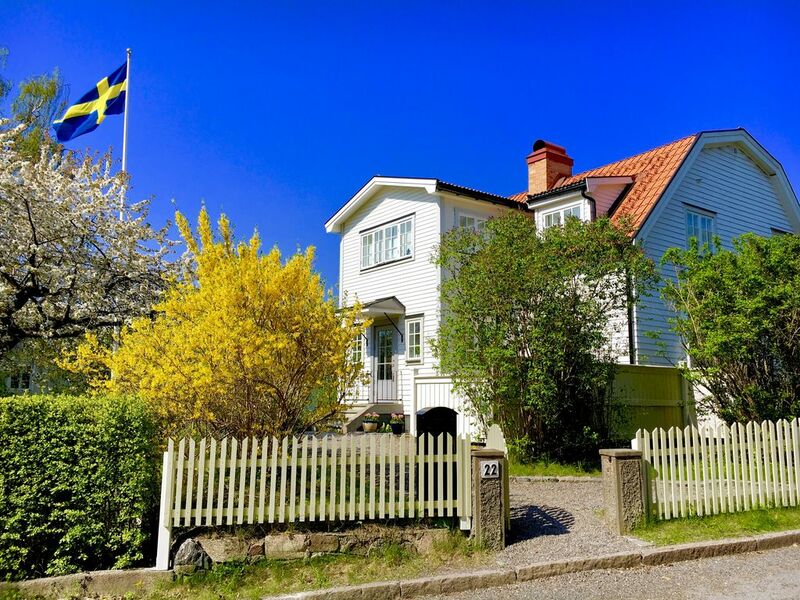 This newly renovated villa is perfectly located in idyllic Bromma with glimpse of the Lake Malaren, 300 meters from the waterfront, but still very close the city center. Ideal for the combination of Exploring the Stockholm city culture, shopping and restaurants while living with the nature and the sea in the neighborhood. Close to the tramway That connects with the subway, You are 20 minutes from downtown Stockholm. Several bathing spots - some with beaches - within walking / cycling distance, the closest is just 2 minutes walk away. Tennis Courts in the neighborhood, golf 15 minutes away. 4 bedrooms (6 + 2 beds), 165 square meters. Our family arrived to a home that was beautifully remodeled, very well maintained and clean. Perfect location for nearby water activities. The transportation system was within walking distance to go to the Stockholm city center for dining, shopping and boat tours. What a beautiful city! This was our 4th trip and would recommend renting a home instead of staying at a hotel. The owner was very friendly and helpful! This place is a keeper for sure - anyone would enjoy this property. Pleasant trip to Stockholm in a beautiful house. We very much enjoyed our week in a lovely house in a quiet neighbourhood of Bromma. The house is very comfortable and we really felt at home. We would like to recommend it to tourists preparing a trip to Stockholm. Top house in top location near Stockholm. Well kept property with bikes, grill, Trampoline, WiFi, and nice interior decor. Superior neighborhood with close access to water and near beaches. A responsive owner. We would definitely recommend it. We had a very relaxing stay in this charming, freshly renovated house. The owners are very nice, helpful, and easy to contact and ask. The rooms are bright, full of light, and very clean, the furniture ist beautiful. The house is located in a calm, friendly, and lofty neighbourhood. The city center is close and within easy reach, both with car and with public transport. On the other hand, country side is also close, we were fishing, searching for mushrooms, and cycling. Overall, a beautiful stay in a very beautiful house! Near the waterfall and nature, very close to the city center. Best of both worlds, the ideal combination for visiting Stockholm. It is possible to rent linen and towels at an extra fee of 350 SEK/person.